Optimal growth theory studies the problem of efficient resource allocation over time, a fundamental concern of economic research. Since the 1970s, the techniques of nonlinear dynamical systems have become a vital tool in optimal growth theory, illuminating dynamics and demonstrating the possibility of endogenous economic fluctuations. 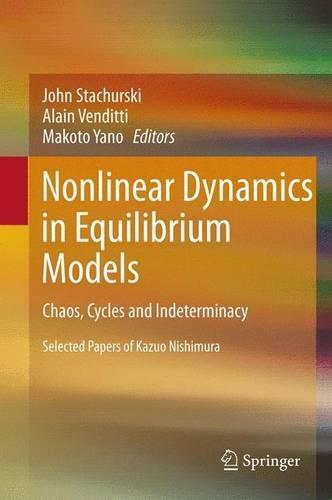 Kazuo Nishimura's seminal contributions on business cycles, chaotic equilibria and indeterminacy have been central to this development, transforming our understanding of economic growth, cycles, and the relationship between them. The subjects of Kazuo's analysis remain of fundamental importance to modern economic theory. This book collects his major contributions in a single volume. Kazuo Nishimura has been recognized for his contributions to economic theory on many occasions, being elected fellow of the Econometric Society and serving as an editor of several major journals.